R Brady Gate and Fencing service will help to make your property more private and secure, while also using the best products that looks aesthetically pleasing. A great garden can be let down by a shabby fence or gate so let us help you make the most of yours! We supply and erect all types of fencing and gates, giving you the perfect finishing touch for your garden. We offer an extensive range of garden fencing and gates which will complement your garden and property. We are licensed waste carriers so all of our fencing waste goes for recycling or for the creation of renewable energy. Take advantage of our garden & landscaping services to transform and enhance the way your garden or property looks. We provide highly flexible services which will be personalised to meet your personal requirements. Over time the weather can take its toll on your fence. If your existing fence or gate is in need of repair work leave it to the professionals for a quick, hassle free service at a price you can afford. Based in Ulverston, Cumbria we cover the surrounding area Furness and South Lakes including Barrow in Furness, Walney Island, Furness Villages, Dalton in Furness, Askam, Millom, Coniston, Bowness, Windermere, Grange over sands. With over 20 years of experience, we offer an efficient but quality service. 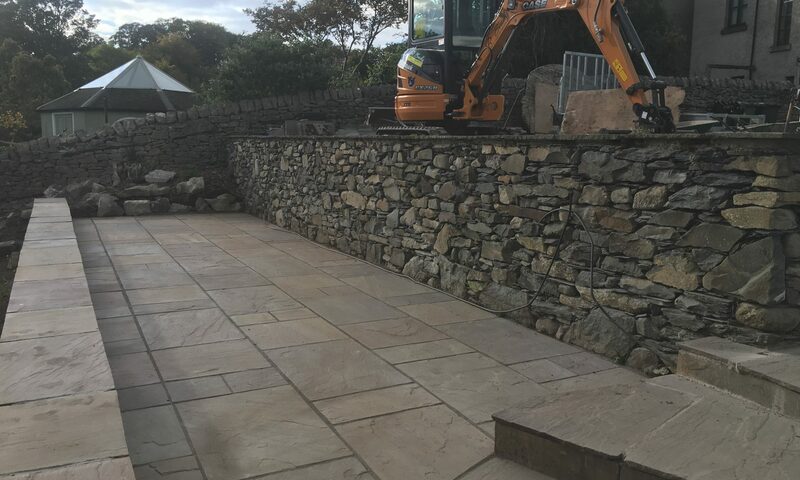 We also install sheds, bases, patios, driveways and we offer a quality turfing service so you can get everything you need from the same place. Whether you need our gate and fencing services for a small or a large area, we have the expertise and advanced equipment to personalise our services to meet your requirements. All our work is fully guaranteed for your peace of mind. For more information or for a free quote please get in touch with us today.